Custom built condo, located in PRIME Pinnacle location! 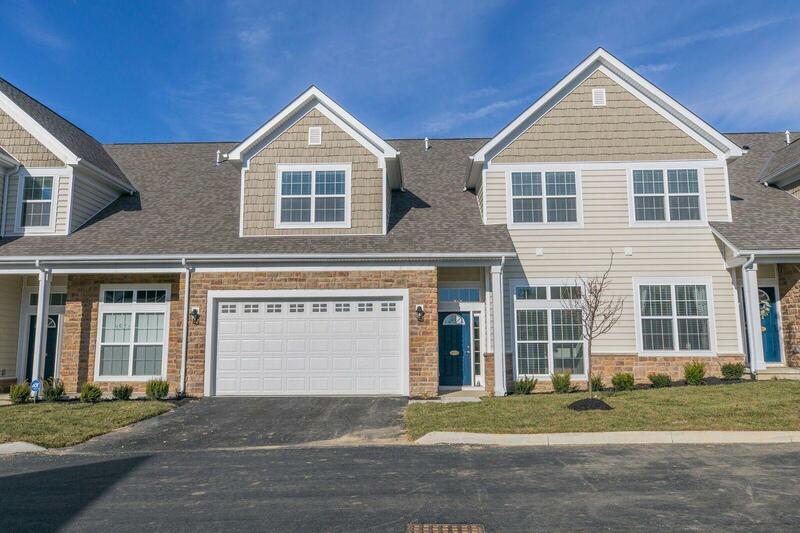 This 1st floor master unit is a Model Home that offers all the upgrades. 13 ft ceilings, beautiful white woodwork and paneled doors, gleaming Engineered hardwood thru-out majority of 1st floor, heavy crown mold. Gourmet island kitchen with 42'' painted cabinets, Quartz, top of the line Stainless Steel package with gas range, Smart Oven, Huge refrigerator and deluxe dishwasher. You'll enjoy the gas fireplace on cold winter days! Florida Room offers a lot of natural light to read a book or just relax. Spacious 1st floor master has recessed tray ceiling and private master spa like bath. Oversized shower with bench and upgraded ceramic tile and doors. There are 2 big bedrooms upstairs with ample storage. Relax on the paver patio!